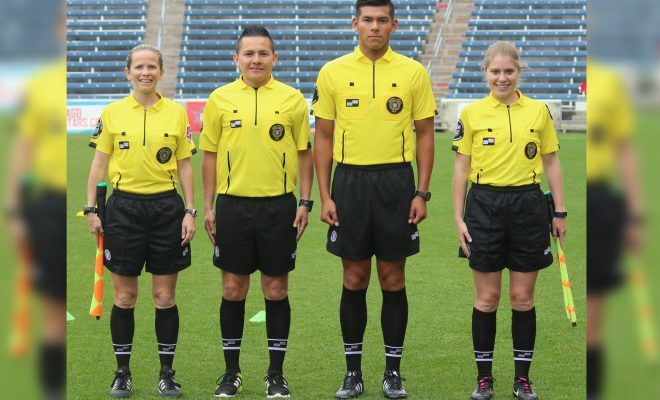 Official Sports International, a Technical Partner to the U.S. Soccer Federation Referee Program, introduced a new referee uniform design in Summer 2016. The uniforms are an updated design that are approved for use in all U.S. Soccer sanctioned matches. Older OSI uniforms are approved for use through December 2018. By that time, all referees will be expected to wear the updated design. Download the Standards of Dress and Appearance for visual guidance. Locally lousville soccer store is out of new shirts . Ref. Always get a 20% discount on merchandise. Referee items. I will purchase up to three shirts if this can be match. there is just one rule of donning these.